This month is Elul, the sixth month on the Hebrew calendar. It is the last month of the Biblical Year 5777. The first day of the next month will be the `Head` of the year, Rosh Hashanah, also known as the Feast of Trumpets. Rosh Hashanah is the start of the Fall Feasts and days of repentance leading up to Yom Kippur. The month of Elul is a time of preparation for the Fall Feasts and a time to seek forgiveness as we reflect on the past year and seek to better ourselves and draw nearer to God in the year to come. There is a Jewish custom to blow the shofar and read Psalm 27 every day in the month of Elul (excluding the last day, the day before Rosh Hashanah). I have been incorporating these and love reading the Psalm in the morning and evening. 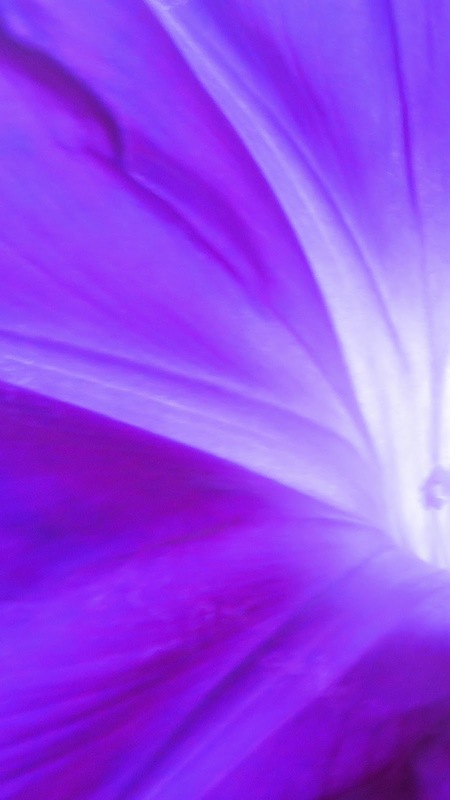 I have a small shofar, and don`t get a big sound, but the morning glories reaching out over the balcony seem to amplify the sound... It feels as though they are echoing the call of the shofar to wake up to God`s glory! With blessings and Shalom to you in this month of Elul! Your face, Lord I seek! It is good to give Praise to our Maker and rejoice and give thanks to Him as we seek repentance and to draw closer to Him in this month of Elul! Shalom and a Blessed Elul to you, Shayndel. I wish the same to you and your family! Elul is indeed the month to seek forgiveness. I like it that you have a small shofar, and the use you make of it. Thank you Duta. It`s a blessing to hear your comments, and your understanding of the observances. It is a beautiful and special month isn`t it!